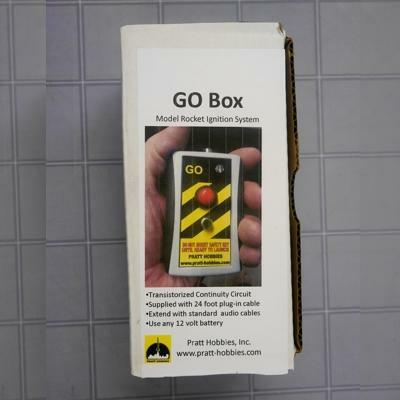 The GO BOX is a simple, inexpensive system that will fire any igniter. 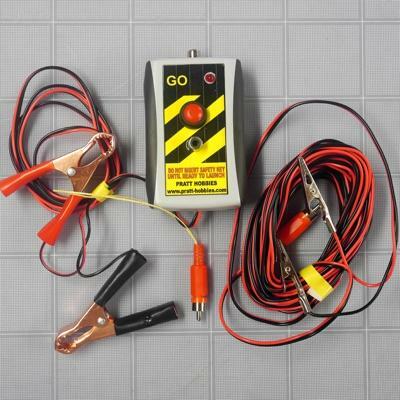 It uses any 12 volt battery to provide plenty of power. The audible transistorized continuity circuit will not set off a flashbulb or a sensitive igniter like an electric match. When you plug in the safety key, a buzzer sounds to alert you and everyone in the area that launch is imminent. The standard GO BOX power cable comes with small battery clamps suitable for gel cells, lantern batteries and the like. You can select a cigar lighter plug at no extra charge, to connect to your car battery without opening the hood. Please note that the cigar lighter plug option is a special order item and may take extra time to ship. The 25 foot pad cable to the launch pad is connected to the GO Box through a standard RCA pin plug. 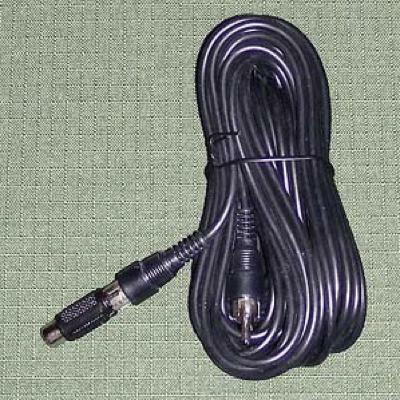 Audio extension cords can be used to increase the distance between the box and the pad, or you can order 25 foot extension cords from us.